Since the Spring of 2014, Peak Land Services has been one of the largest recruiters of Texas Tech University Energy Commerce graduates. On average, Peak has hired 3 to 4 graduates annually and has made even more job offers. Around half of the entire land team at Peak has graduated from the program making us one of the most educated land service companies in the Permian Basin. 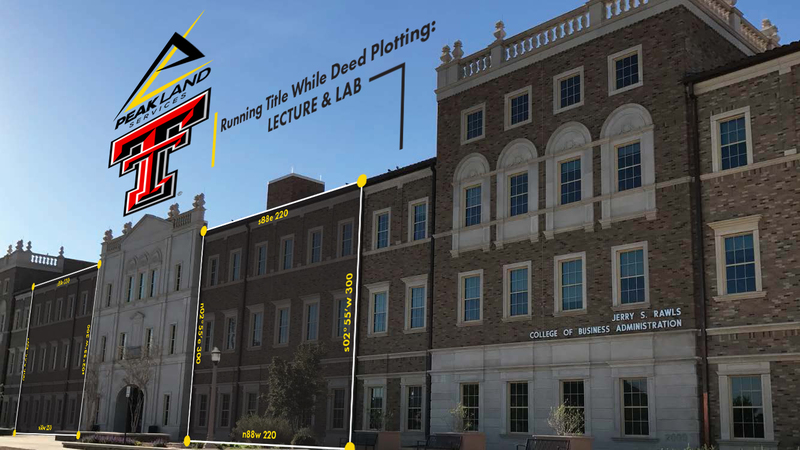 Texas Tech’s ENCO (Energy Commerce) Program continually produces well rounded individuals ready for the contract land business. Because of our hands-on training program and exposure to a de-risked version of all aspects of the contract land business, our hires quickly become efficient producers for our clients. We understand exactly what these individuals are capable of as well as what they need to be coached up on. At the 2017 NAPE Summit in Houston, TX, our management team had a long conversation with one of the TTU – ENCO professors, Rusty McInturff, about our training and hiring process. We began discussing what aspects of the curriculum these students may want additional industry training in. 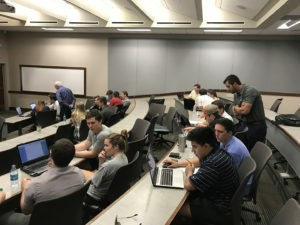 After bouncing some ideas back and forth about ways to further educate these students on specific contract land issues they were not being exposed to, we created a custom course and seminar to help graduates better understand deed calls, GIS mapping, and deed plotting while running title. 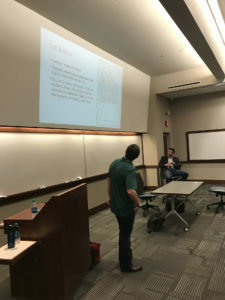 Rusty asked if the land services management team would be willing to come teach a course at TTU, and we were ecstatic. Peak was able to bring almost all of our TTU graduates back and teach a one day seminar focused on better understanding deed calls. We were able to assist the students in small groups of 2 or 3 due to the amount of company support at the seminar. It was great to meet some of the young students and all of us at Peak hope that you learned something! We look forward to reaching out to some of these students about working with the Peak Land Services team upon graduation! Thanks for a great day! Below are some highlights from the course. If you are a recent graduate or future graduate from the TTU ENCO program and are interested in speaking with Peak about current job opportunities, please contact us, or call one of the founders directly (Mitchell Eberenz at 502-767-9101 or Cole Frederick at 979-203-0304).